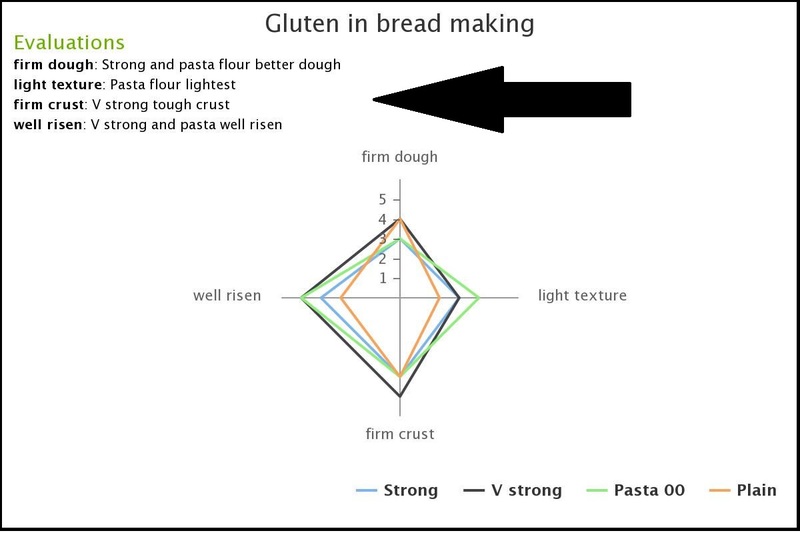 For this investigation I tested lots of flours including Pasta Flour called 00. 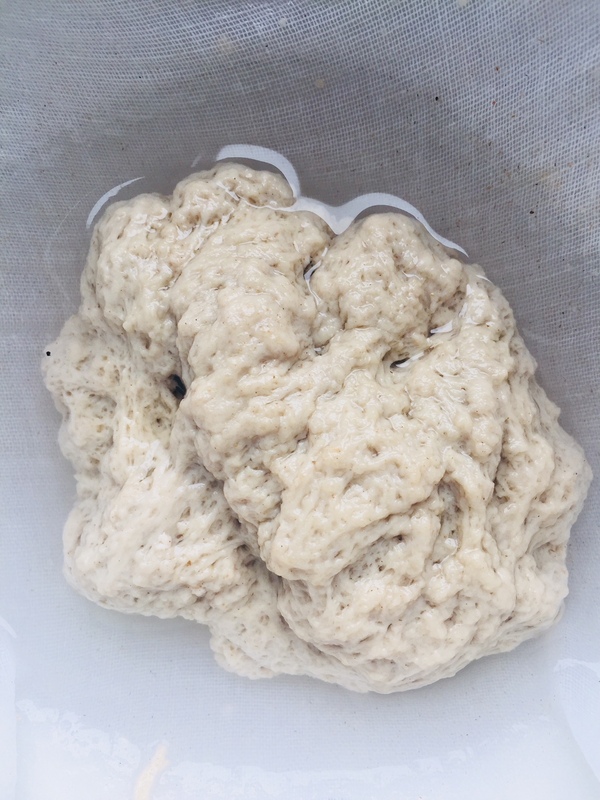 First I made some gluten balls by mixing 150g flour with water to make a dough then washing out the starch. 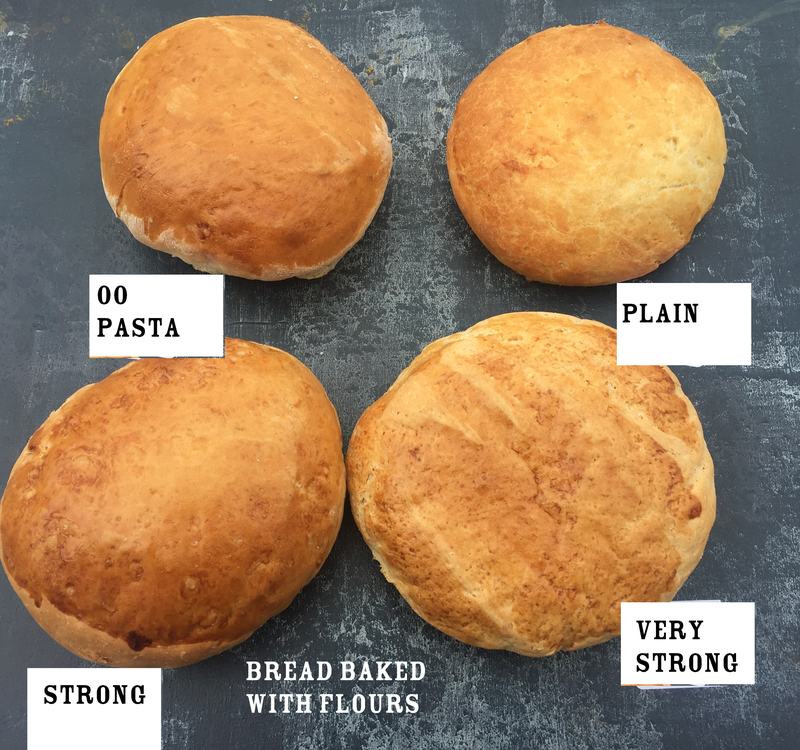 Flours make different sized gluten balls which are then baked. Next I made small loaves of bread from each flour making sure I made each loaf in the same way and the same size. Then I carried out a fair test to compare the breads and make my evaluations. I used The Nutrition Program to present the results of the tasting. This is how it is done. 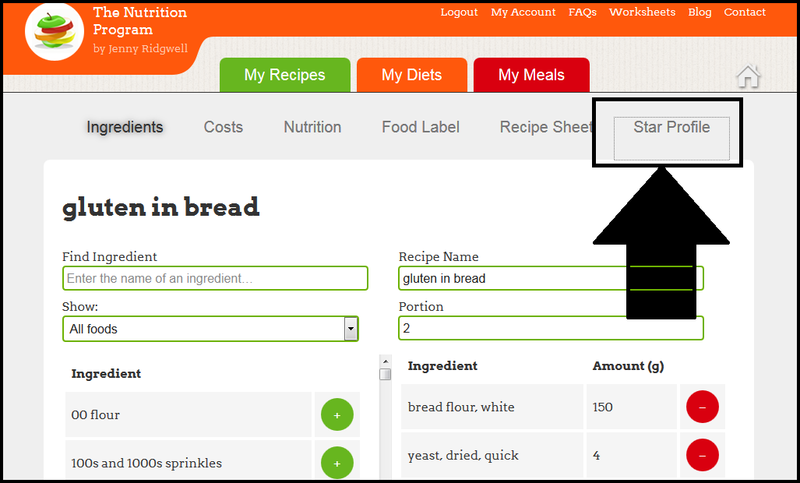 Click My Recipes and name one as Gluten Bread Test. Put in the basic bread recipe in Ingredients. Then think of Descriptors for sensory appraisal – your tasting work. I’ve chosen firm dough, light texture, firm crust, well risen. Then tasted the breads and given each a mark out of 5 where 0= not and 5= very. This is a new function added for NEA 1 test – Click Hide Rating. I can now see the Star Profile with each bread tasted. Then I can write my Evaluations. 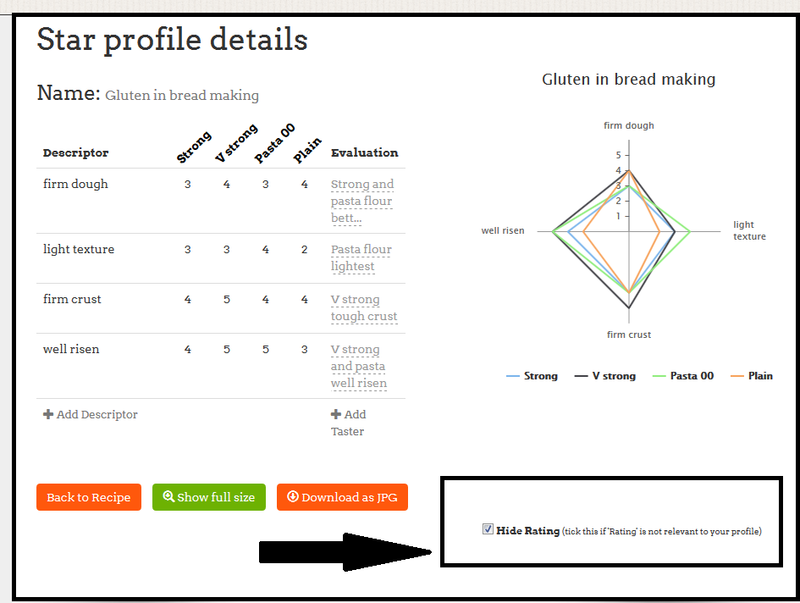 Star profile gluten in bread with Evaluations – full marks! !